You are interested in tailor-made triathlon training plans? You would like to prepare individual ans systematically for your next race? Then you are at the right place. 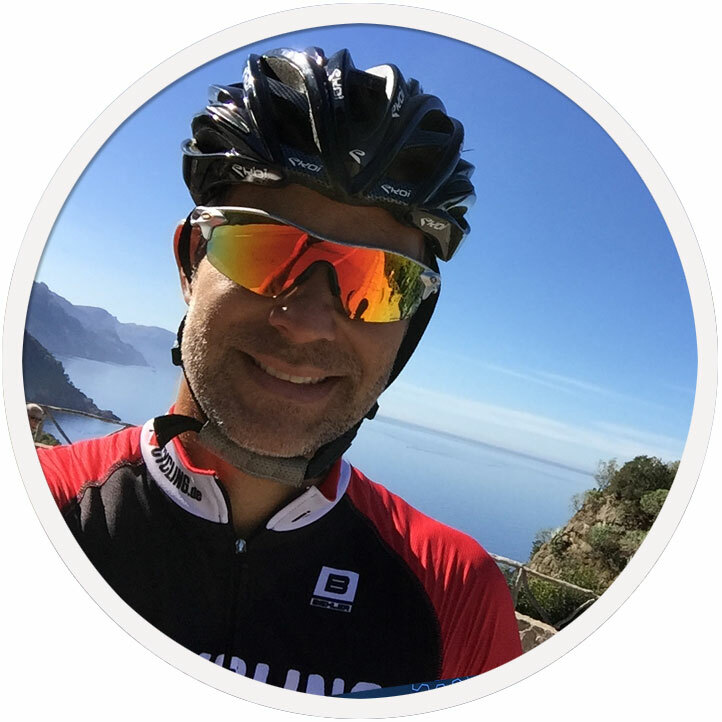 My name is Jorg, I am a sports scientist with university degree and professional triathlon coach. It’s a pleasure for me to help you reaching your goals. You’ll get from me an individual training plan 100 percent tailored to your needs. In the internet, in magazines and books you can find hundreds of training plans. Looking close they don’t differ from each other. So it doesn’t matter which plan you pick. If you follow the plan you will improve for sure. But will you get the optimum? Which means getting the best results out of the less time you can afford. In my experience plans off the rack the trouble starts right at the beginning. A coach who writes a plan for a magazine does his job in the meaning that there is nothing disturbing you and your training. If all runs perfect you can follow everyday. I know that, because I’ve written and seen many plans in my life as an editor. Back in the real world: Most triathletes have a job. Did you ever count how often you had to cancel a workout because of an unscheduled business meeting? And how often you had to skip a ride, because you were on a business trip and didn’t bring your bike? Is there always a pool around when you need to swim? If I write a plan of the rack I do it for a “pro”, who has no other duties. Writing a plan for a business person means, that I need all your meetings and appointments a week in advance. You tell me your time frames and I plan every training sessions for your schedule. That is very important, because you need to take care of the training load and necessary regeneration. For a pro everything is easier. Train, eat, sleep, repeat – that’s what a pro life consists of. For a working triathlete it is a bit more difficult. You not only have to do your job and plan your training, but also there is a social life. Your friends and family ask for your attention. To balance that you’ll need a good plan that fits in your life, not the other way around. My triathlon plans are tailor-made. For every client. It doesn’t matter if you prepare for your first ironman, if you try to become faster on half distance triathlons or if you are a rookie – I coach my athletes personally. No algorithm, no off the rack and no staff. Therefore my capacity to coach more athletes is limited. You’ll get your plans on a weekly base. There are detailed information what to do in every single session. The plans include drills, swim sessions, athletic workouts and parameter how fast you should do your endurance speed or intervals. To control your training you’ll need a GPS-watch (Garmin preferred) and a power meter on your bike. Every week I also need your detailed feedback and all dates for the coming week. I provide your training plans on a online platform. This is a good way to track all your activities so that I can evaluate your data. If you have any questions or an unscheduled meeting, you can give me a call, skype or whatsapp me. Communication on a regular base is necessary for a good coaching relation. What are you waiting for? Your way to success starts now! Coaching is a very personal business. Every athlete is different and has different needs. Therefore you will get an individual plan and personal support. We will work together to improve your fitness and to reach your goals. My price for this service is 119€ per month. There is no subscription, no secret conditions, you just pay what you get. You see, there is no risk. Just try. Please fill out the contact form, so we can send you an individual offer as soon as possible.